As part of 40th Anniversary celebrations marking The Jimi Hendrix Experience's US debut at the Monterey International Pop Festival in 1967, original Hendrix bandmates Mitch Mitchell and Billy Cox re-united for a special one-night only event on October 25, 2007 at the Hippodrome in London, England. This special event was sponsored in part by Gibson Guitar Corp. Experience Hendrix Tour - Billy Cox	In addition to the reunion of Mitchell and Cox, the evening included the showing of new documentary American Landing: The Jimi Hendrix Experience Live At The Monterey Pop Festival on the Hippdrome's big screen. 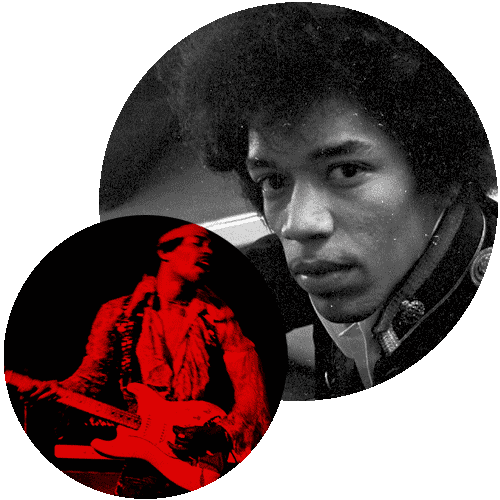 Prior to the screening, one-time Hendrix PR associate and long-serving music journalist, Keith Altham, was on hand to provide a little insight into The Jimi Hendrix Experience including his time traveling with Hendrix which even included a trans-Atlantic flight to the aforementioned Monterey Pop Festival in '67. Following the film screening, a special 75-minute concert started with the trio lead by Thin Lizzy guitarist, Gary Moore plus Primal Scream's Darrin Mooney (drums) and Dave Bronze (bass) who kicked off the live music portion of the night with seven of Hendrix's most popular recordings including "Purple Haze," "Manic Depression," "Foxey Lady," "The Wind Cries Mary," "I Don't Live Today," "Angel," and "Fire." This brief 7-song set then made way for the highlight of the night where original Jimi Hendrix Experience drummer Mitch Mitchell took to the stage where he was joined by the original Band Of Gypsys' bassist Billy Cox. Reliving their original pairing from the Woodstock Festival in August 1969, Mitchell and Cox seemed right at home on stage together once again. Joining the duo was Gary Moore, who lead the trio through three Hendrix standards including "Red House" plus the first two cuts from The Jimi Hendrix Experience's debut single (this time in reverse order), "Stone Free" and "Hey Joe." Experience Hendrix Tour - Gary Moore	The Moore/Mitchell/Cox trio gelled really well on this night, delivering fiery renditions of some of Hendrix's most beloved recordings. The fans and press who gathered for this special event were suitably impressed with the likes of Komodo Rock acknowledging, "Perhaps nobody can ever achieve the legendary status that Hendrix over the years has made his, but tonight, Gary Moore did justice to that legend, perhaps in a way that nobody else could. His guitar sung alongside him, his voice clear as day ..."
The evening affair concluded with Bronze and Mooney rejoining Moore on stage for the rousing finale "Voodoo Child (Slight Return)" with Komodo Rock concluding "... everyone in attendance knew that they had born witness to something very special."